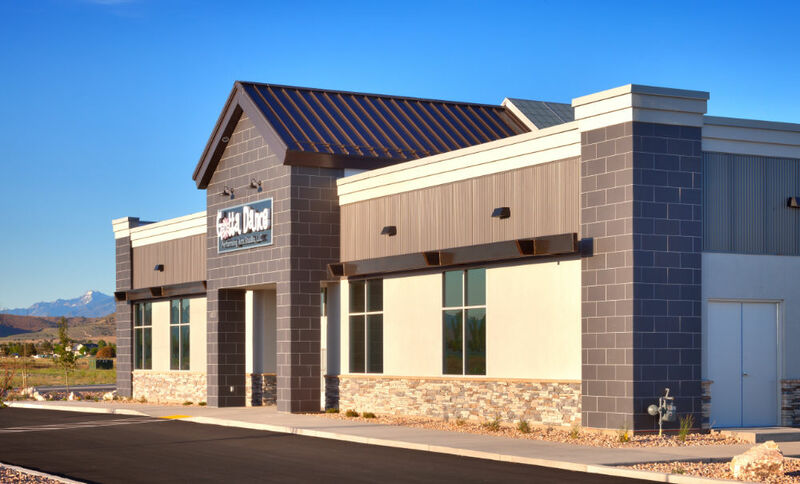 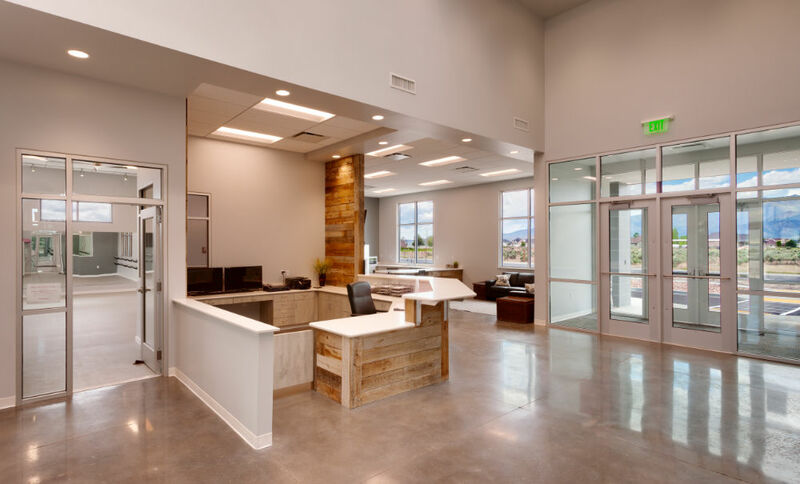 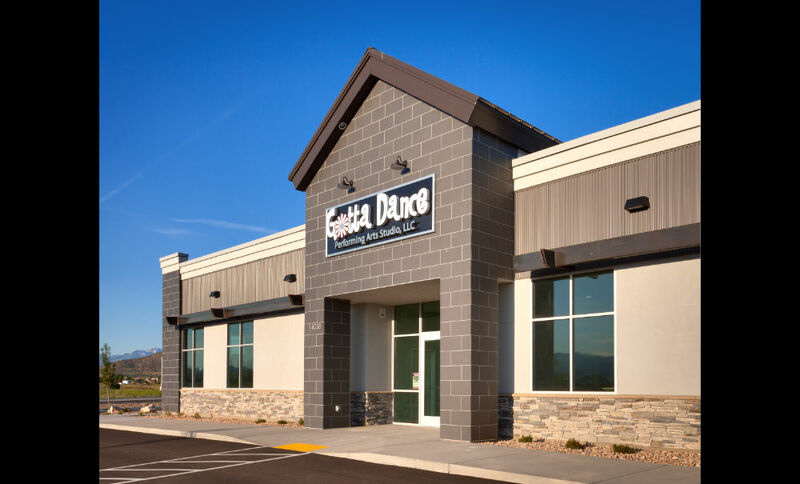 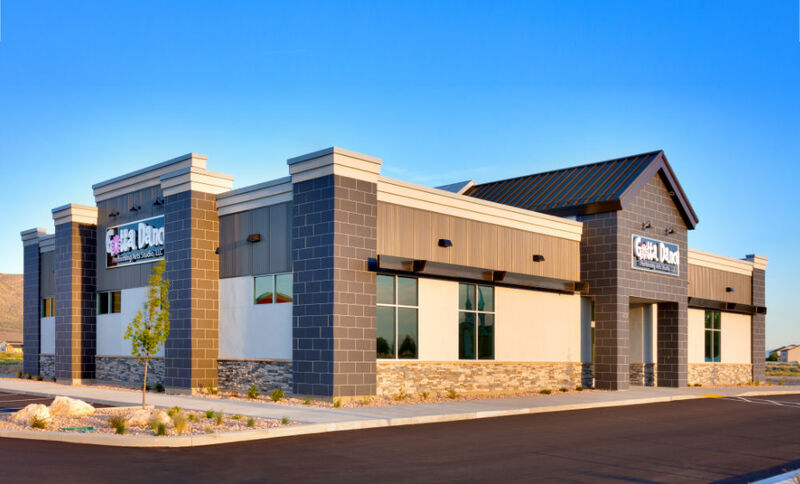 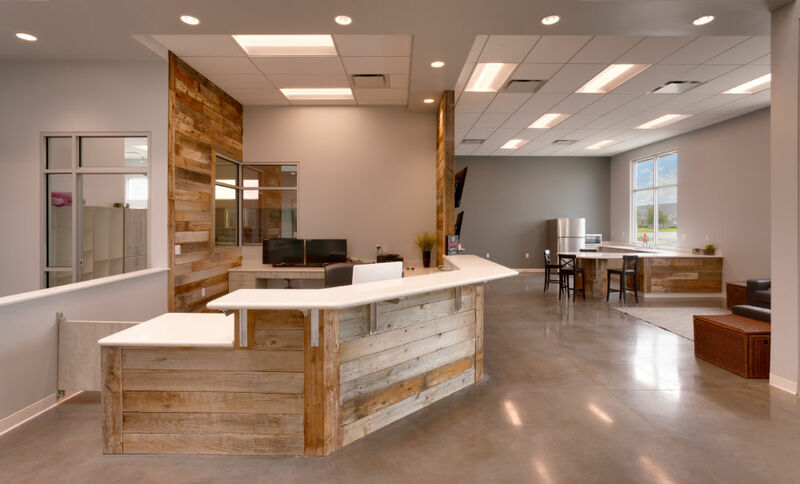 The Gotta Dance Performing Arts Studio is a 6500 SF contemporary and efficient single story building located in Eagle Mountain, Utah. 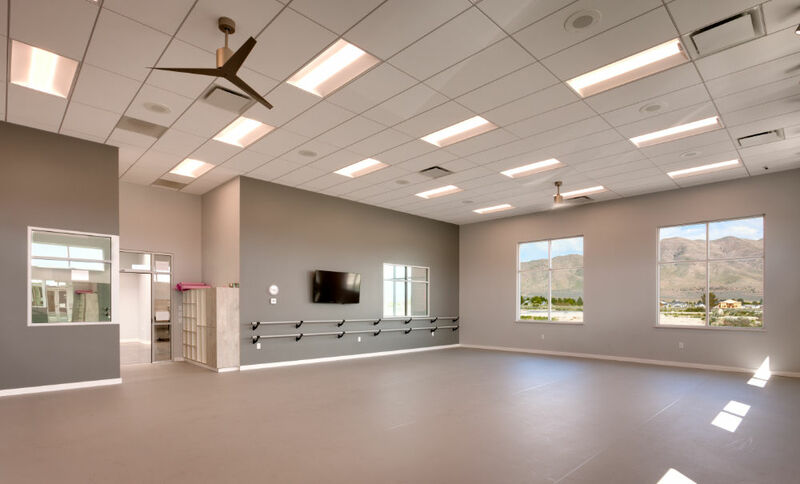 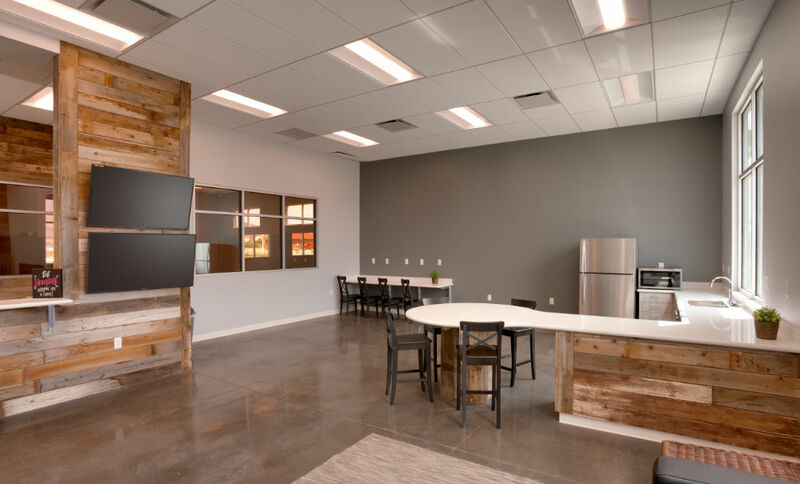 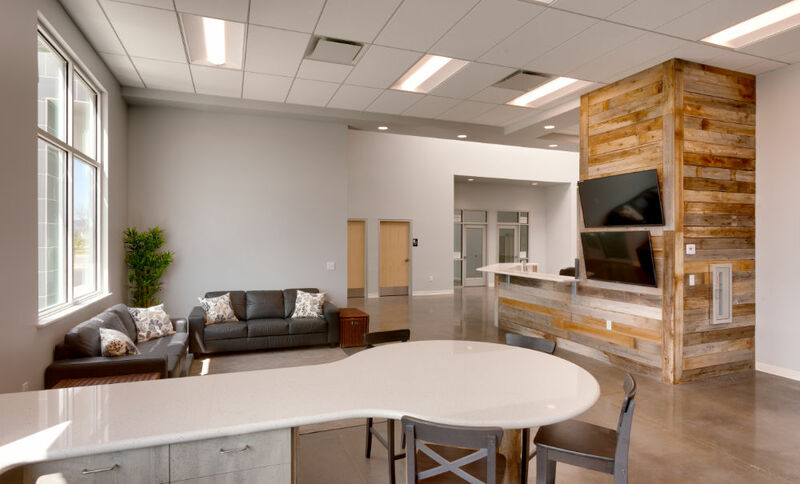 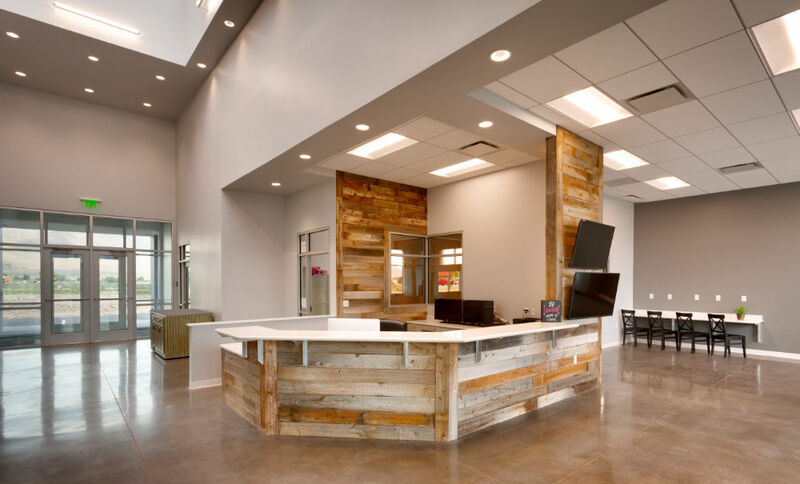 The building houses 3 dance studios, a reception area, a student and parental lounge, restrooms and locker spaces, an office and storage space. 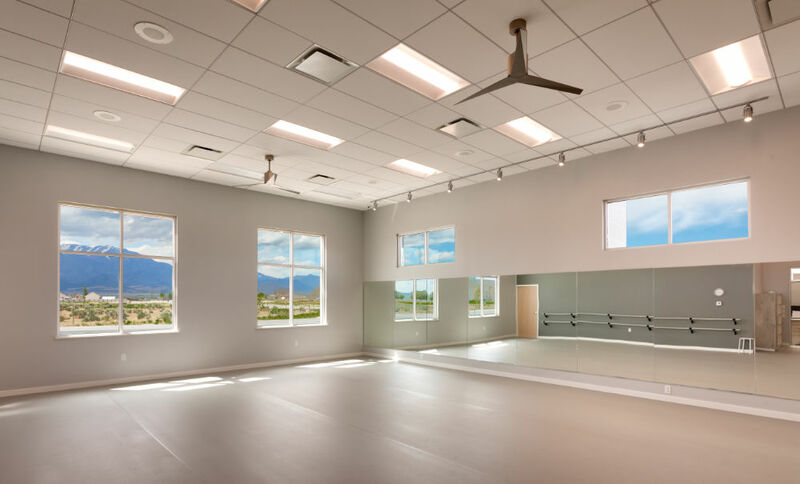 The configuration of the floor plan allows the primary dance studio to be directly visible from both the reception/staff area and the lounge area allowing both staff and parents to observe classroom activities. 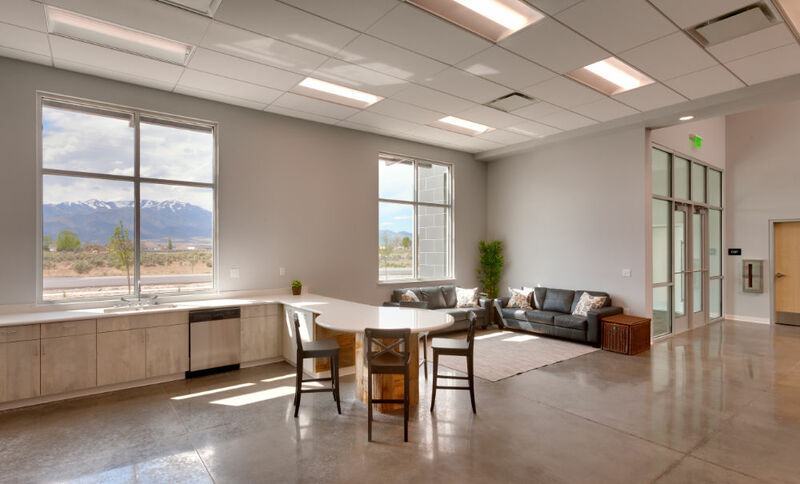 The building employs various high-tech audio and visual equipment allowing visibility and observation in remote locations as well as audio control for diverse music types and tempo manipulation. 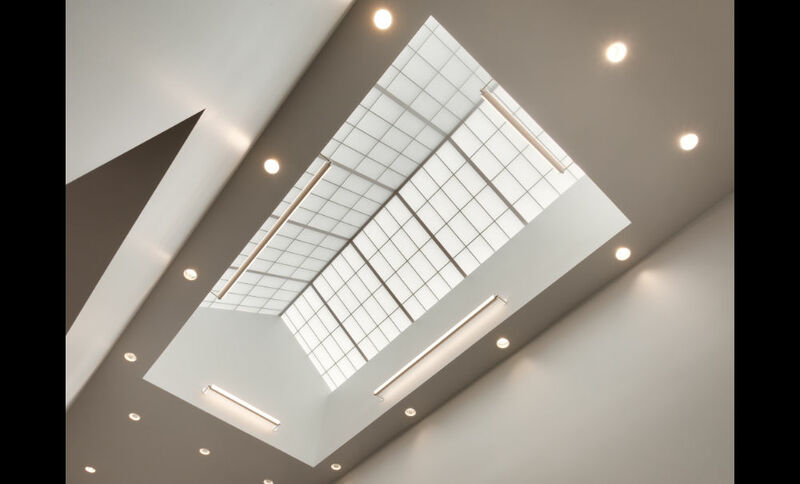 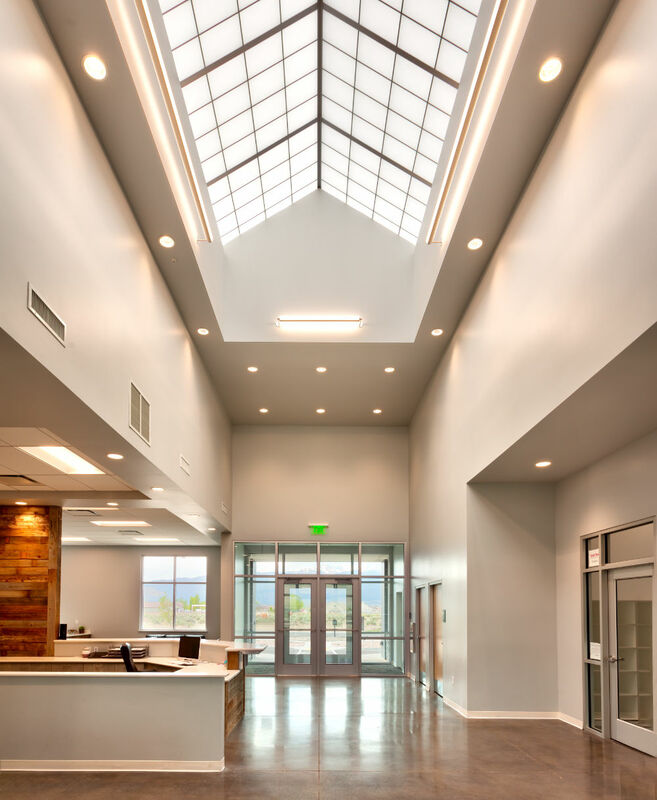 The implementation of clerestory windows and a large central skylight provide a bright and functional space enjoyed by staff, students, and parents alike.